12. J.P. Morgan Chase & Co.
CEO Jamie Dimon helped the firm weather the mortgage crisis better than its Wall Street counterparts by mostly steering clear of collateralized debt obligations, the securities that have otherwise slammed the financial industry. The bank's solid footing - along with a $29 billion guarantee from the Federal Reserve - helped it bail out Bear Stearns in a controversial deal this March. Provisions for loan losses in its credit division took a toll on J.P. Morgan's results, but the bank still had the fattest profit of any of the big Wall Street firms last year. Exxon Mobil was the most profitable company last year by far, raking in $40.6 billion in earnings. Who else made the top 20? These twentysomethings may not have a ton of experience, but you'd never know it from their job descriptions. 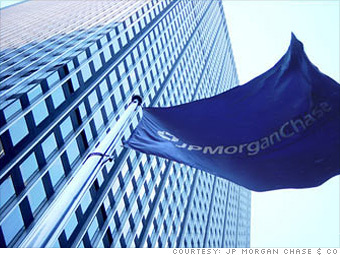 Show: Top 50 | 25 Most Profitable | Fortune 500 | J.P. Morgan Chase & Co.